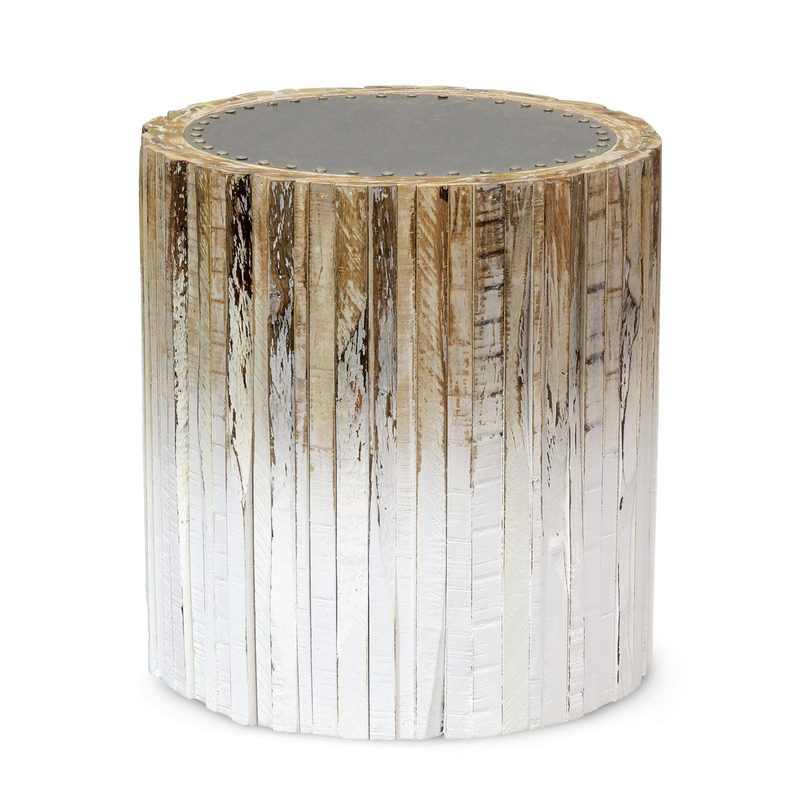 This Palecek stool is made with a brushed stainless steel top with rivets along the outside edge. It is an rregular recycled wood slat base in an ombre whitewash finish. Made in USA.